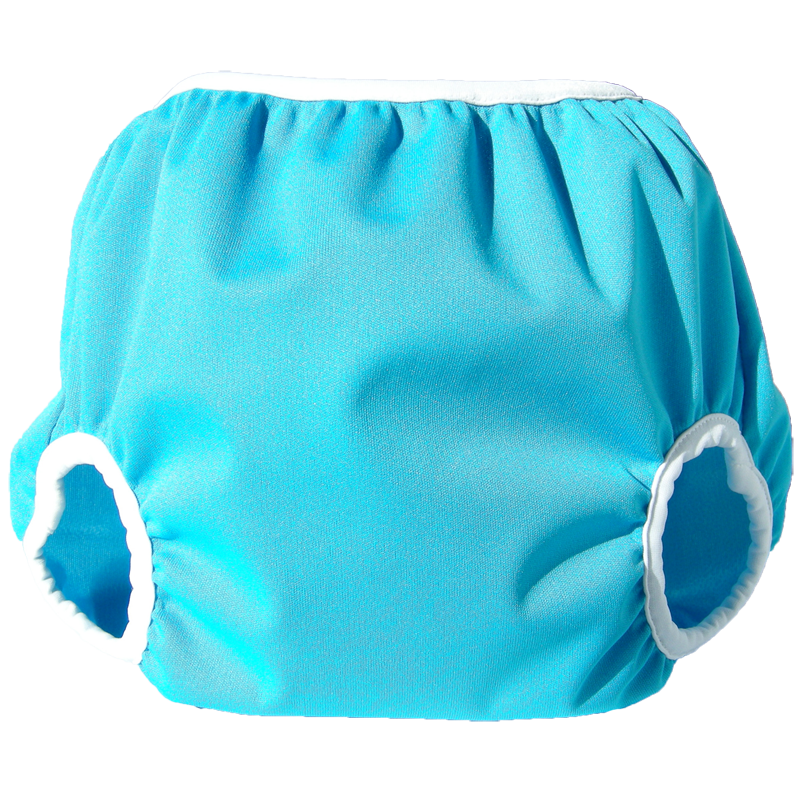 The Bummi Original is a favorite with diaper service customers because it has such an extraordinarily good, trim fit. Soft, stretchy Lycra bindings around legs and waist ensure snug and leak-proof protection – but are so very gentle on baby’s tender skin! If you are using any type of FLAT cloth diaper, this is the best lightweight nylon cover available. 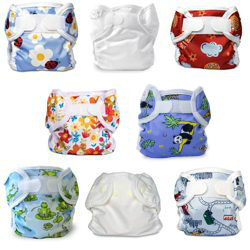 The Bummi Original is a favorite with diaper service customers because it has such an extraordinarily good, trim fit. Soft, stretchy Lycra bindings around legs and waist ensure snug and leak-proof protection – but are so very gentle on baby’s tender skin! 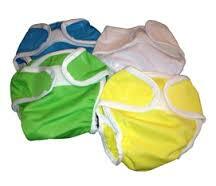 4 sizes for an excellent and very specific fit with a flat cloth diaper from 4 to 28 pounds. The newborn size is great for tiny, hard-to-fit newborns; especially preemies, twins, and triplets. The small size is modified with an innovative hook and loop closure design to ensure softness, durability, and a fit that really works on the average newborn. The medium and large sizes also feature a unique hook and loop closure system – a larger tummy panel for tons of adjustability. An interior mesh lining increases the flow of air and wicks moisture away, while holding the cloth diaper in place. Of course, as is true of all Bummis wraps, the Bummi Original is made in their own wonderful factory in Montreal, so that you are assured of good quality and fair labor practices. The fabrics and components they produce with are all sourced in North America and are guaranteed lead, phthalate and BPA free. -Fasten Aplix tabs. -Machine or hand wash lukewarm. -Avoid bleach, brighteners and fabric softeners. -Use very little regular detergent or a zero-residue detergent. Using natural or oil-based soaps or too much detergent may leave a residue that can cause your wraps to retain odors and/or leak. -Dry in the dryer on “air” setting (no heat), or hang to dry. -Dry at regular temperature in the dryer or on a clothesline. Sunlight is a natural brightener and disinfectant!